Functional equations of the form f(x + y)g(x − y) = Σ j=1 n α j (x)β j (y) as well as of the form f1(x + z)f2(y + z)f3(x + y − z) = Σ j=1 m φ j (x, y)ψ j (z) are solved for unknown entire functions f, g,α j , β j : ℂ → ℂ and f1, f2, f3, ψ j : ℂ → ℂ, φ j : ℂ2 → ℂ in the cases of n = 3 and m = 4. 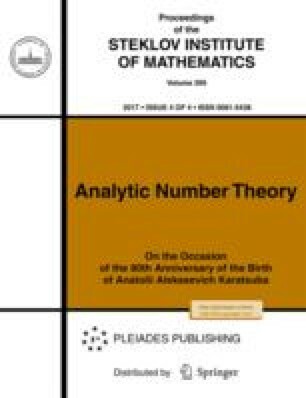 Original Russian Text © A.A. Illarionov, 2017, published in Trudy Matematicheskogo Instituta imeni V.A. Steklova, 2017, Vol. 299, pp. 105–117.